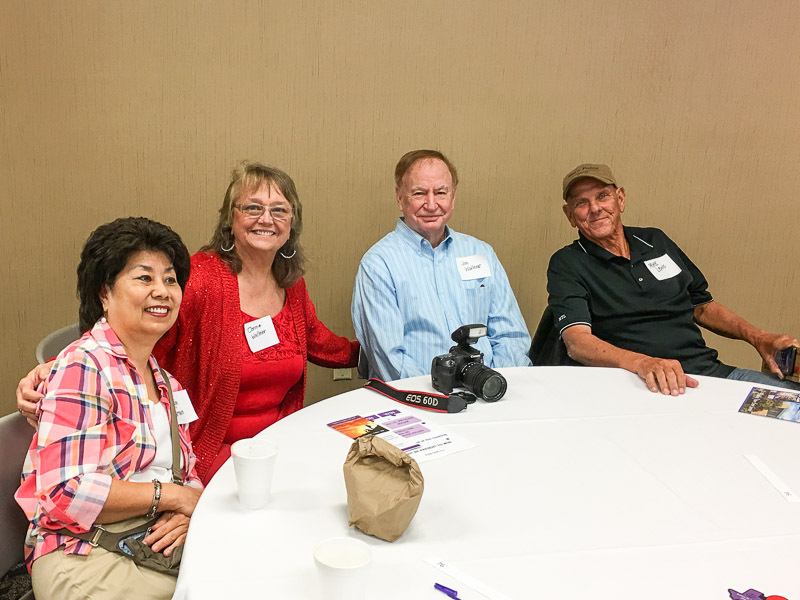 We had a pretty good turn out for the March Lost Friends Luncheon including Harold Shiroma, Ken Rogers, Connie Wallner, and Mike Lewis shown here. Why don't you join us? 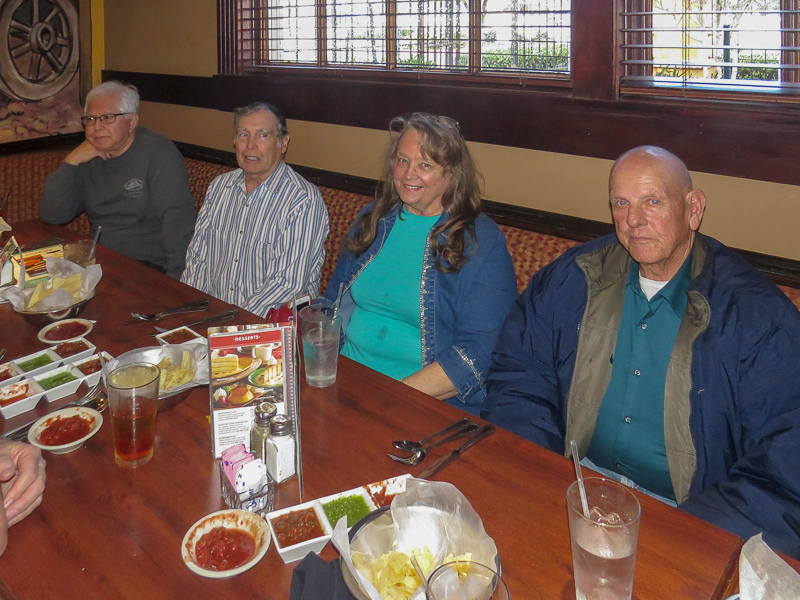 We meet each month for lunch at Abuelo's on US75 in Plano at 11:30 a.m. on the 13th of each month, or the following Monday if the 13th falls on a weekend or holiday. 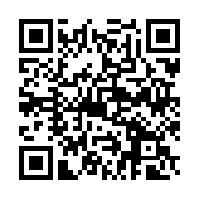 Next luncheon will be Monday April 15, 2019, TAX DAY! We finished up our Southampton-Singapore cruise with a stop by Taiwan to see lots of friends from the old days and of course, family. While in Taiwan we had a great time seeing old friends, revisiting old favorite spots, and seeing lots of places new to us. While we were in Taipei Lynn Liu drove us all over North Taiwan it seemed, and acted as guide to the MTR, new to us. 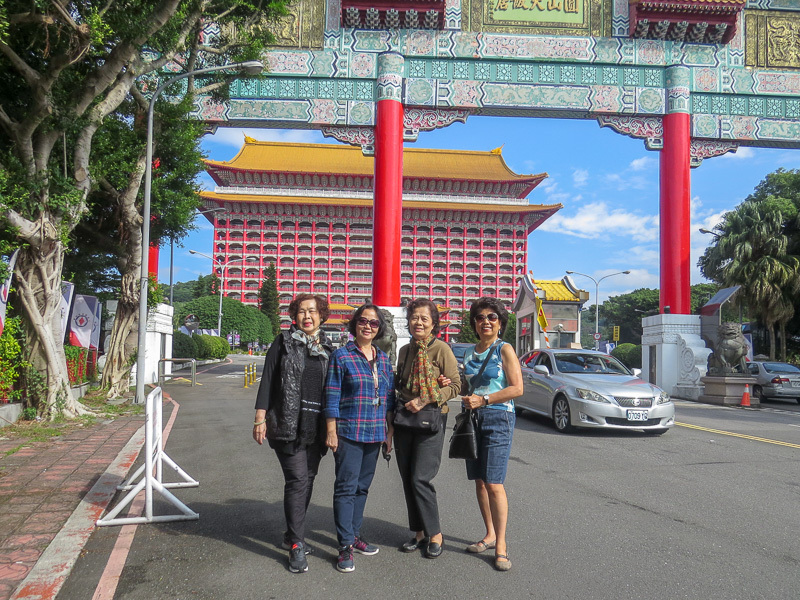 Here we've stopped outside the entry gate to the Grand Hotel in Taipei for a snap shot. For us it was a really nice warm day, but for locals it was getting cold with winter approaching. L-R: Jenny, once Angie's room mate, Lynn, a long time friend, AiYueh, Angie's older sister, and Angie. Our cruise terminated in Singapore where we made a quick transfer to the Changi Singapore airport for a flight to Taiwan. 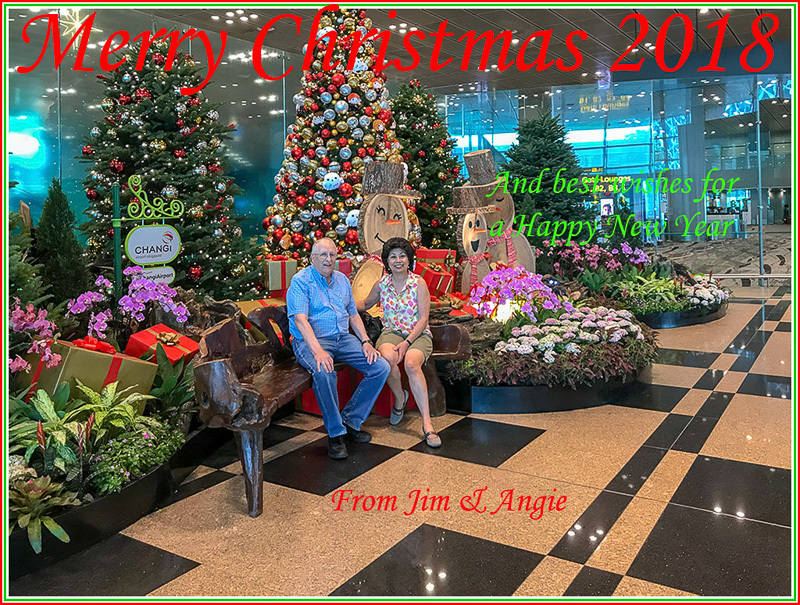 Angie and I took advantage of the extensive Christmas decorations to get a picture which I later used for our Christmas card. 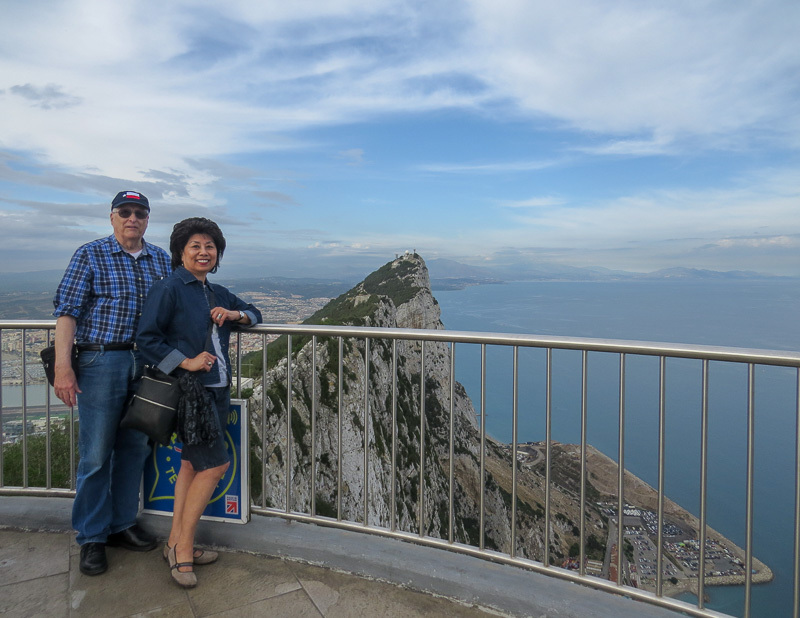 Angie and I at the "Rock of Gibraltar". This was a treat as neither of us had been here before. And those monkeys are even more mischievous than they told you! When the opportunity arose to take a cruise from Southampton England to Singapore through the Suez Canal we jumped on it. It was a 38 day cruise stopping at a lot of places we had never been plus some we were happy to see again. 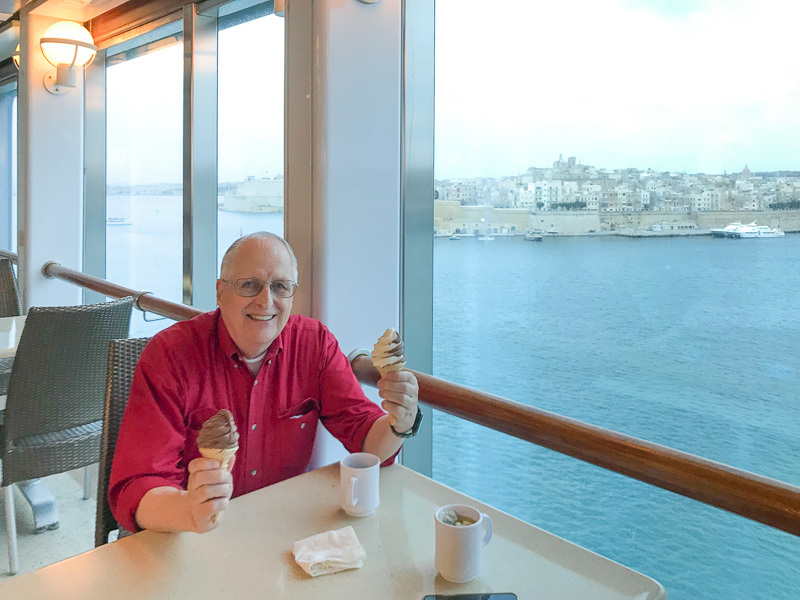 Here I am back on board after a day of touring Malta about to enjoy some ice cream. One for me and one for Angie who is taking the picture. It's a tough life but someone has to do it! Pictures of the entire cruise are posted here, and if you're really into cruise pictures, all of our cruises - so far - are here. 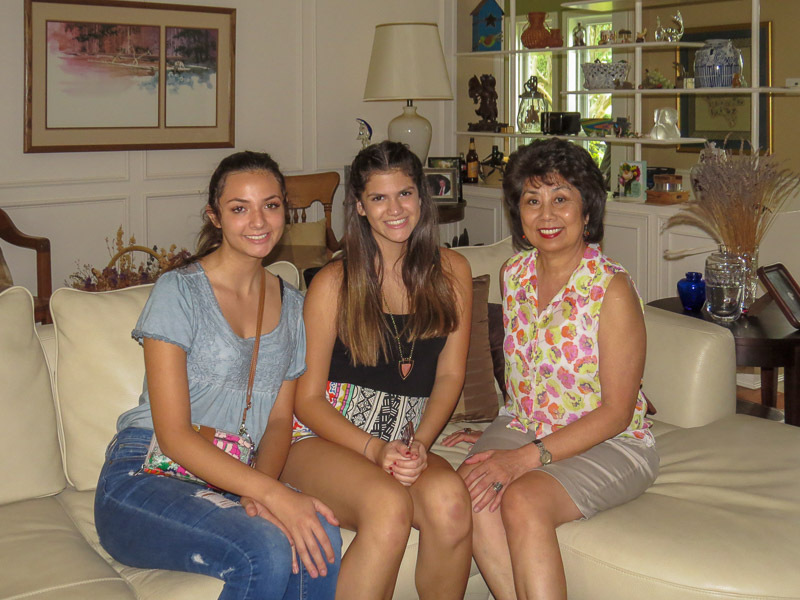 Angie invited April and Isabella Allen to join her and Margarita Flores for Dim Sum recently. I was shocked when these two lovely young ladies showed up at the door. Seems like it was just a few days ago that they were just little tykes, playing tea parties and climbing trees! Now Isabella's starting high school, April is starting college, and Jim is feeling a lot older! 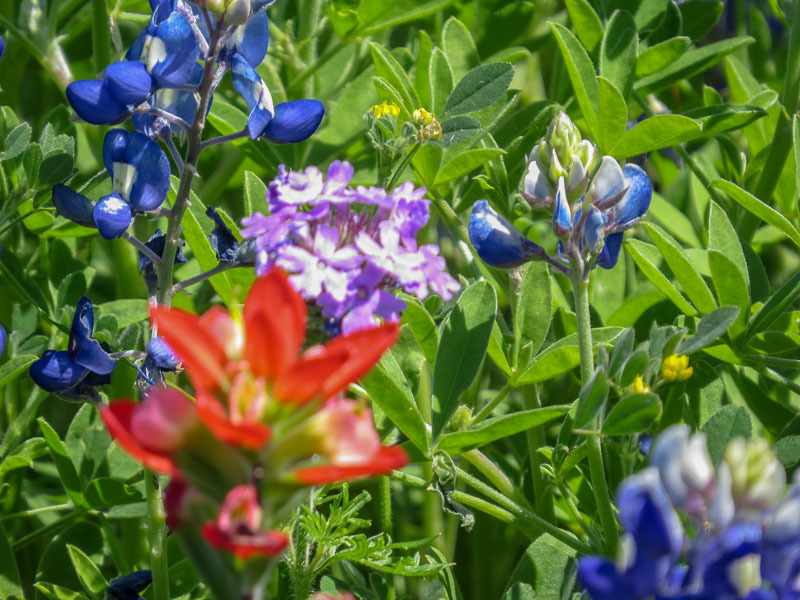 We made it to the Ennis Bluebonnet Trails festival this year!. 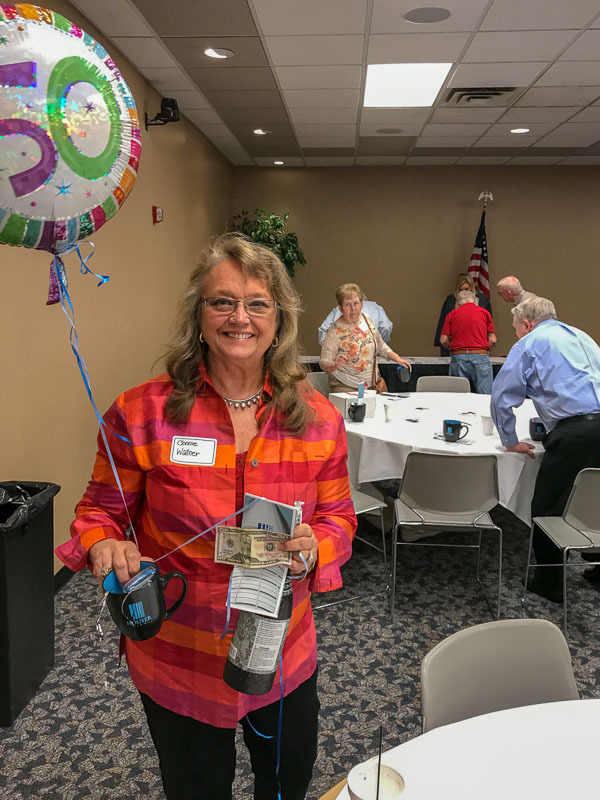 Look who won $50 at the Rockwell Collins Retirees meeting! Connie Wallner is on "Cloud 9!" 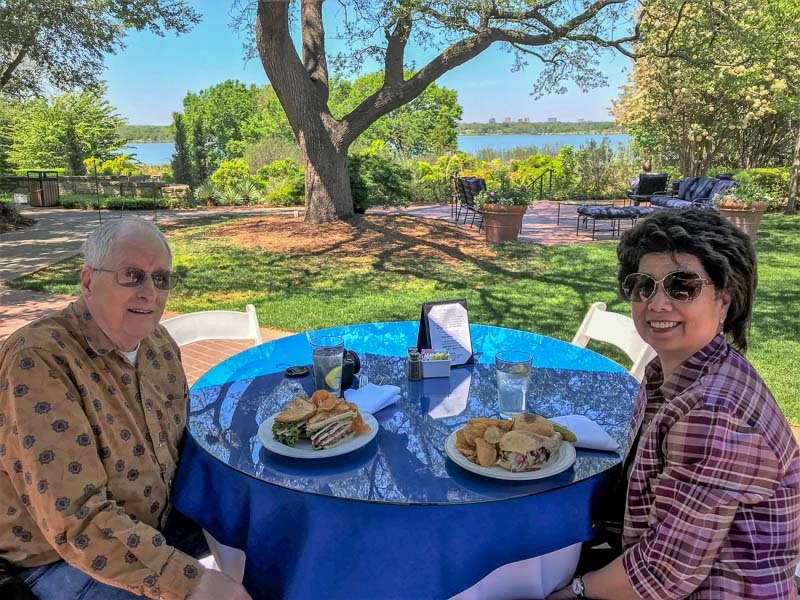 Angie and I have been enjoying the beautiful spring weather as well as the food and flowers at the Dallas Arboretum. Mike Lewis' kids threw a birthday bash for him that was reminiscent of the old company picnics Mike used to host. There was a huge turnout, and we all had a great time. 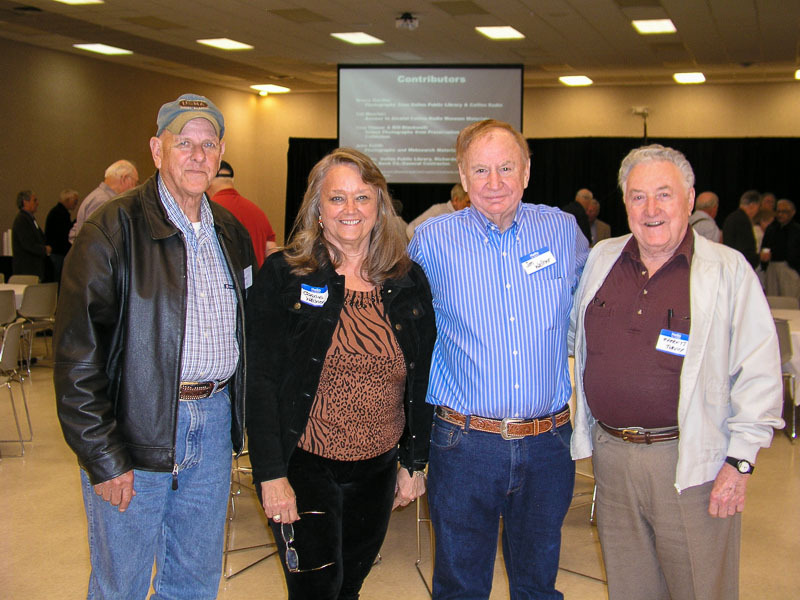 I got to make another reunion of the Dyer High School Class of 61 in early June. Gathered around the table in the foreground: Jim and Nora Meadows, Alice Ball McCutcheon, Jim Harrison, Mr. & Mrs. Carl Hanks, Shirley Keathley Pipkin, Melvin Pipkin, Mr. & Mrs. Russell Watt, Angie Harrison, Carol Stockton McCutcheon, and Pam Taylor. Lots more pictures here along with the big 50th reunion! Even the Critters were happy to see us in Tennessee. 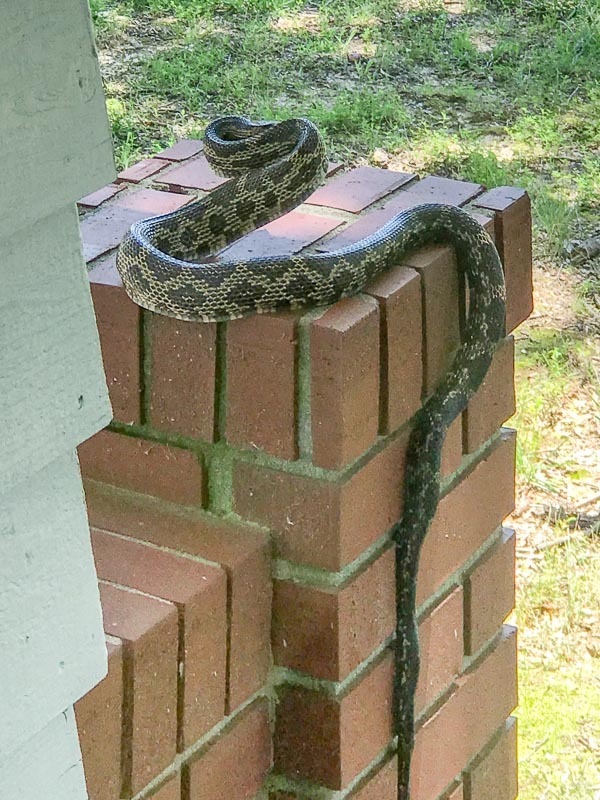 But this "Chicken Snake" was kind'a upset when it was disturbed by the Gas Company trying to paint their meter. 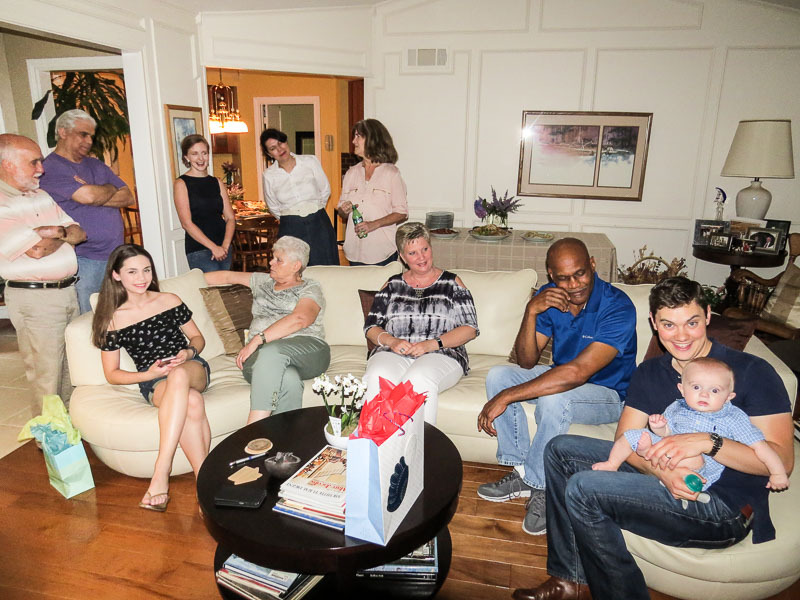 Since our next door neighbors, Ben and Charity, have a new baby (Evan), we invited a few of the other neighbors over to meet him and have dinner. L-R On couch: Alyssa Boisvert, Jan Maraist, Lisa Boisvert, Wayne, and Ben with Evan. L-R Standing behind couch: Claude Maraist, Paul Boisvert, Charity, Margarita Flores, and Nora. Angie and I took off in December 2016 and joined friends on a round trip cruise to Hawaii from San Diego, CA. 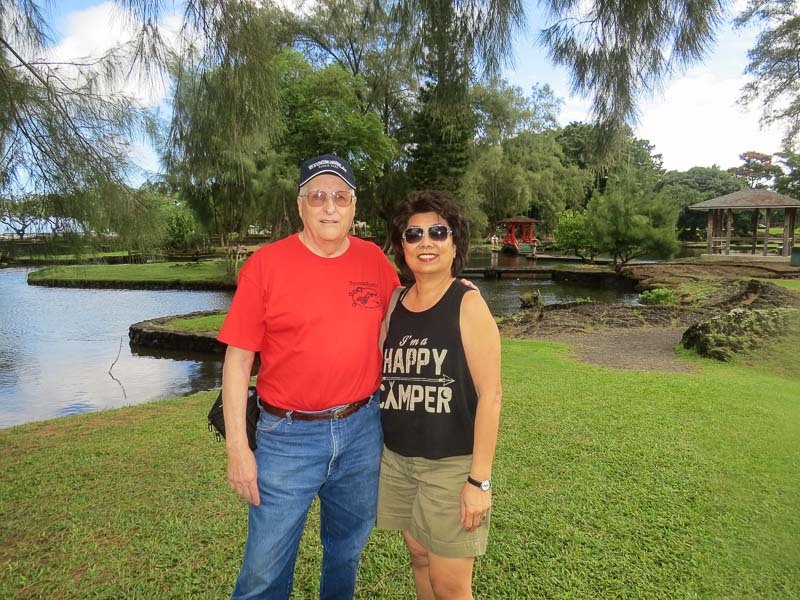 Here we are at Liliuokalani Park and Gardens in Hilo Bay. I think we were both "happy campers"! There are lots more pictures from the cruise here. Nennette Nance was in town and joined us for dinner. 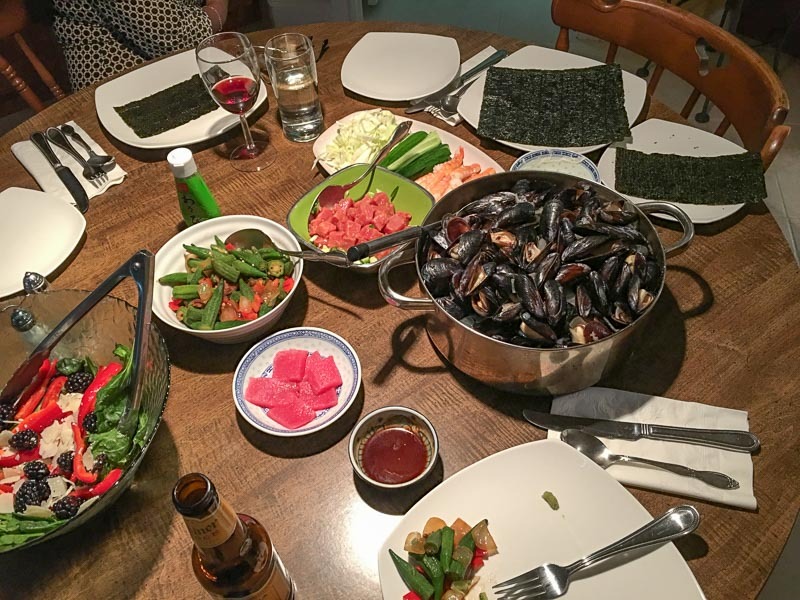 Angie whipped up feast with a green salad, stir fried okra (courtesy of Mike Lewis), ceviche Tuna salad, Tuna Sashimi, a big pot of Penn Cove Mussels, and DIY shrimp handrolls. YUMMY! It's been a while since I've seen Mike. He'd just picked a big mess of okra from his garden and gifted us with some, small and tender, just like we like it. 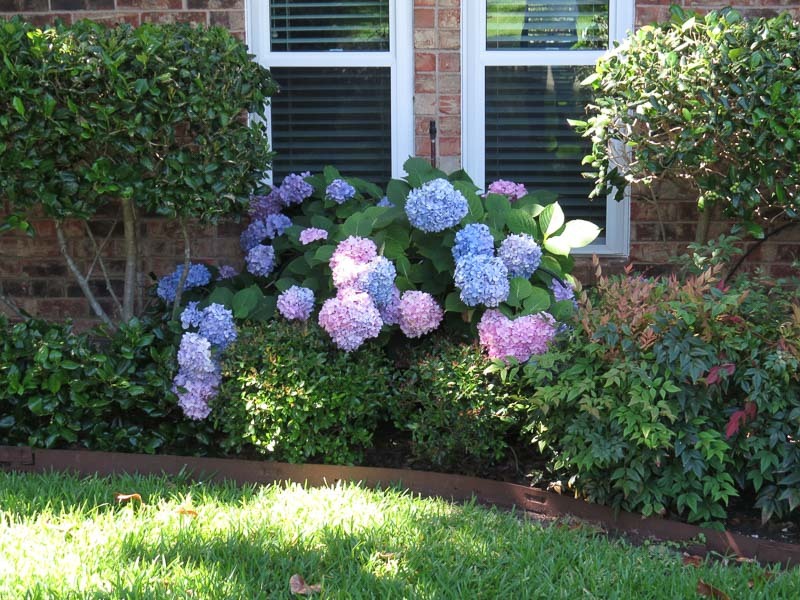 Upon our return home, Angie's hydrangeas were blooming profusely. Unfortunately the grass is growing like crazy too, and I have my work cut out for me! 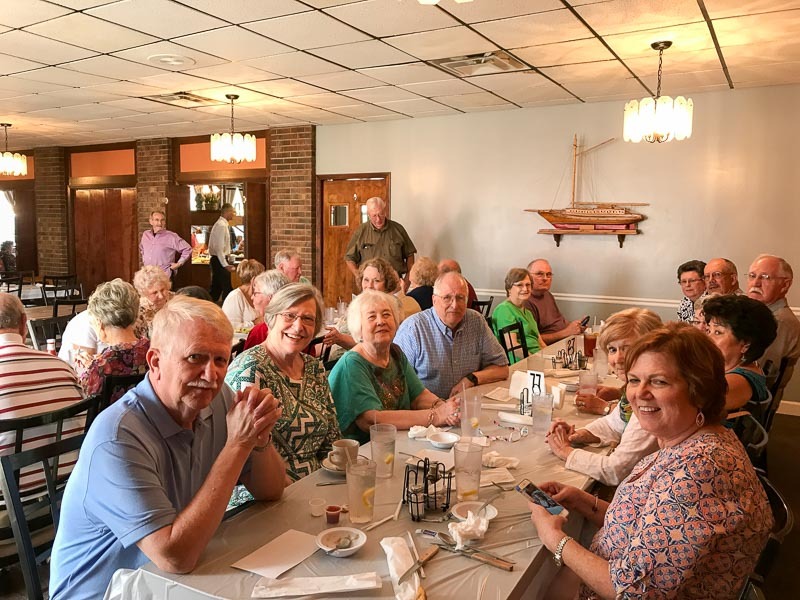 We made a quick trip back to Tennessee in May/June 2016 to attend a 55th reunion dinner with my High School graduating class. 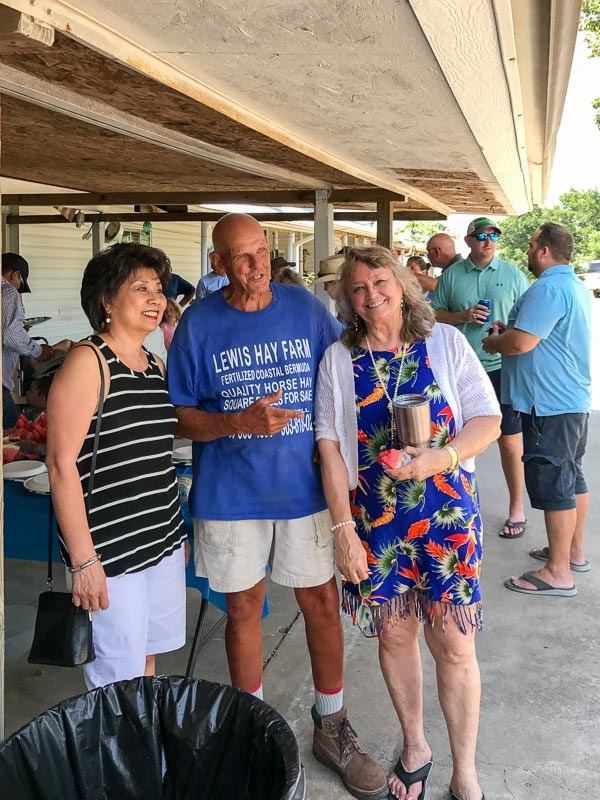 While there we also got a chance to visit some of Angie's old friends and co-workers from the late sixties. 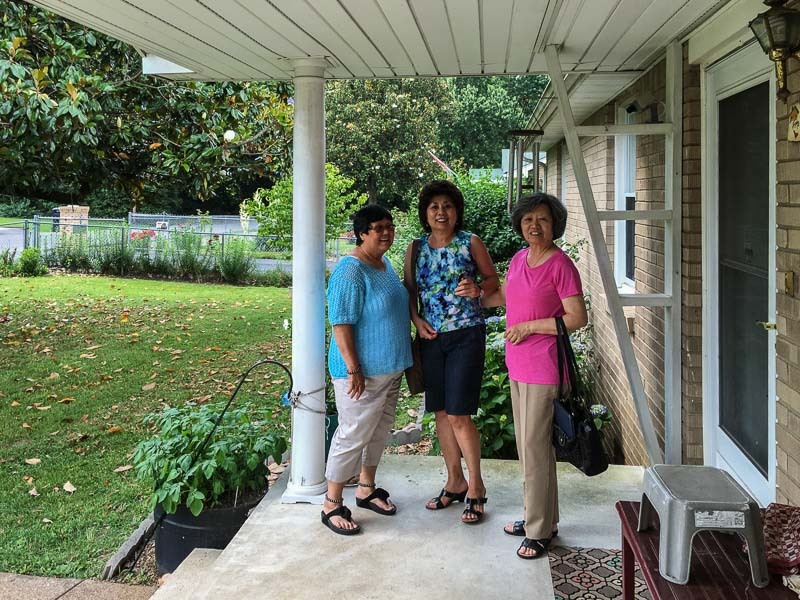 Here's Lau, Angie, and Shuylie McReynolds just getting ready to leave for lunch. There were lots more old friends and relatives I would have liked to visit with, but simply didn't have time. Next trip! 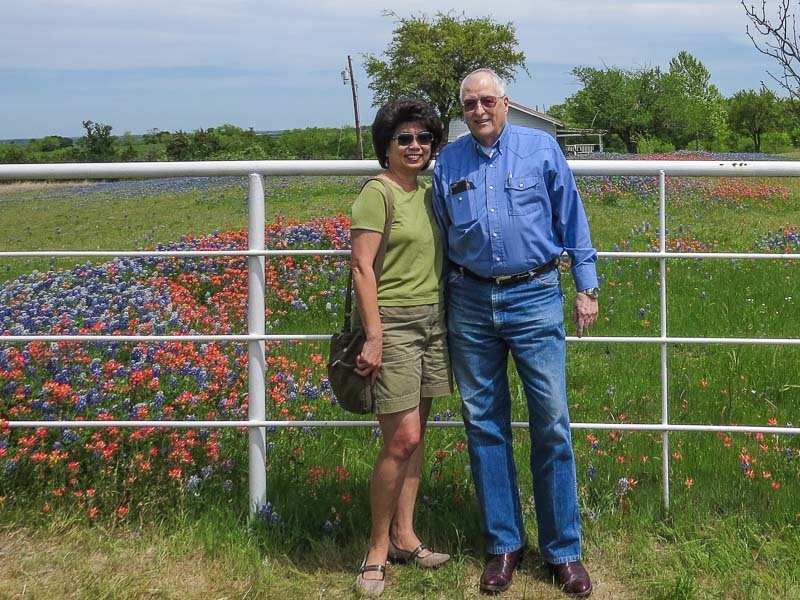 We made a trip with the Wallners in early April 2016 down to Ennis to take in the wildflowers. While they're not exactly spectacular this year, they're always pretty, and we all had fun on the trip! After finishing up our cruise in Houston, we rented a car and drove back to Dallas. 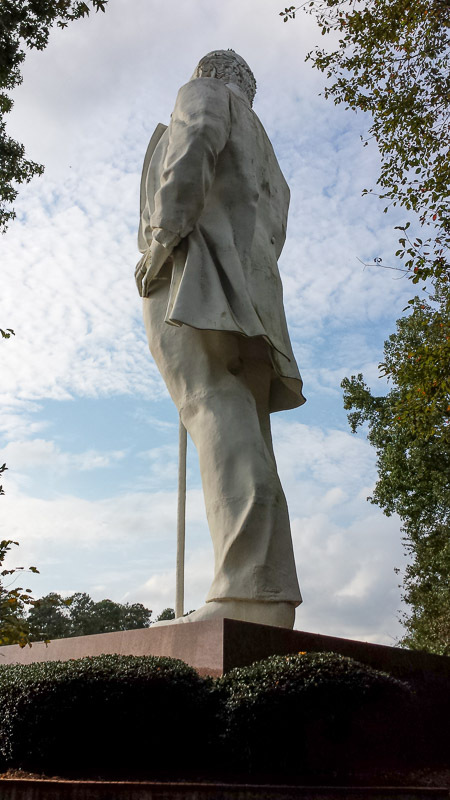 Along the way we stopped in Huntsville to visit the somewhat larger than life statue of Sam Houston which we'd not yet seen. I can certainly recommend stopping for a few minutes to take in the view the next time you're down that way. In October 2015 we took two of Angie's sisters on a cruise from Quebec City, Quebec, Canada to Houston, Texas! 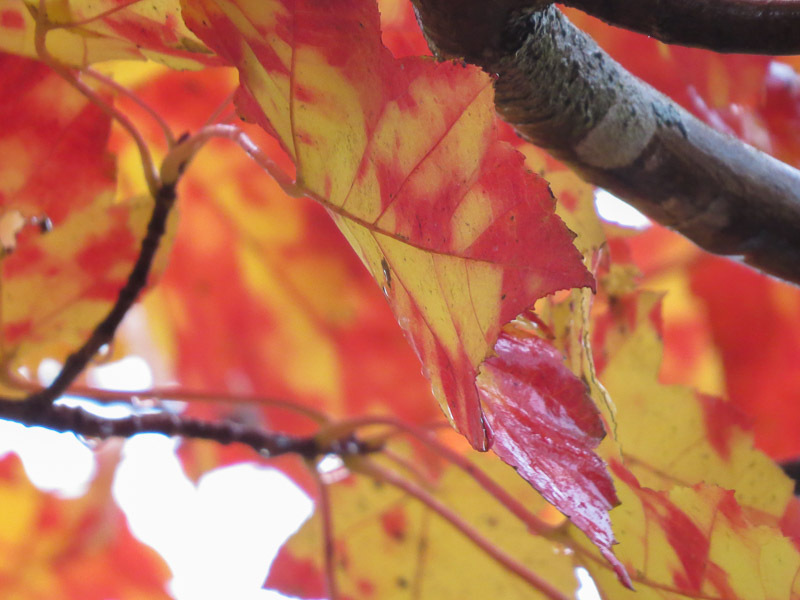 While we were hoping to see some colorful foliage, we were afraid we were too late, having taken the last cruise of the year. As it turned out, we hit the peak of the season. Once in a Blue Moon! July 2015 had a good one on a clear night. Blue Moon: Popularly recognized as the second full moon in a calendar month. The actual full moon will occur tomorrow, July 31, 2015. 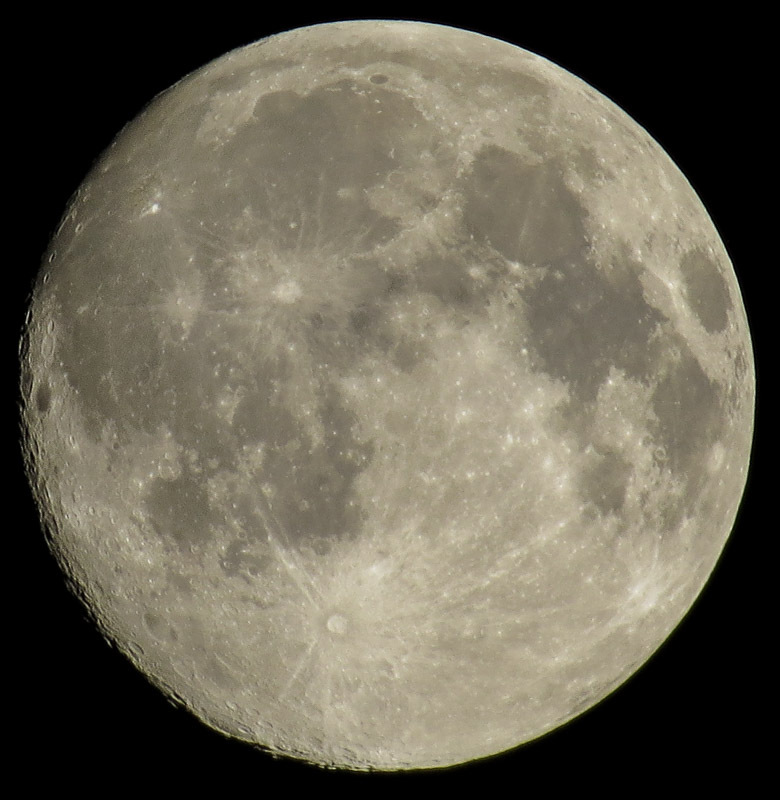 Taken with my new Canon PowerShot SX50 HS hand held. I think I'm going to like this camera! See what happens when that Wallner woman gets her hands on a camera! 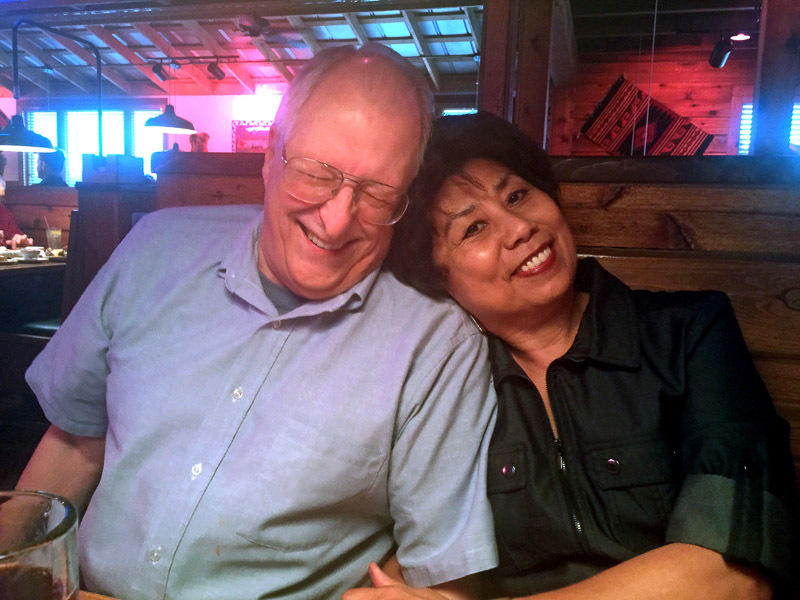 Connie had a new Photo Booth ap on her iPnone and caught us in some "candid" shots while sharing dinner at the Texas Roadhouse. Don't remember what the joke was, but it must have been funny! 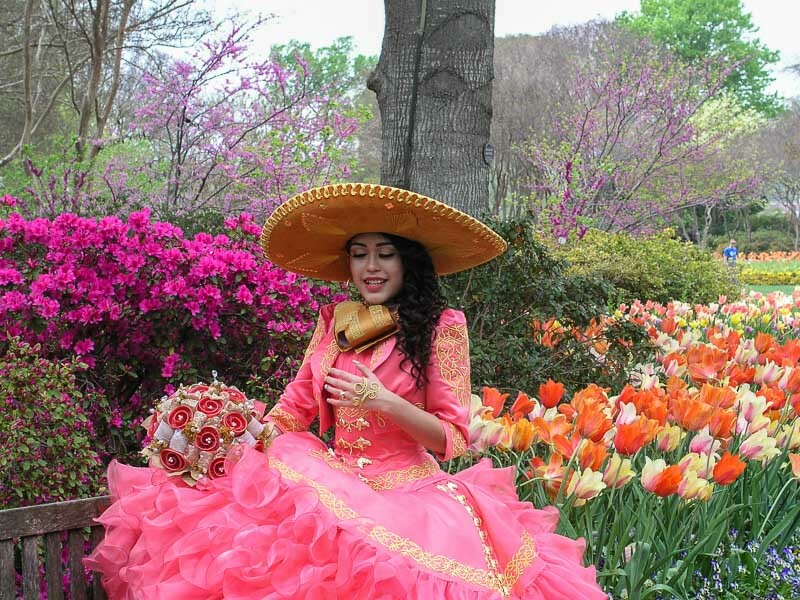 This spring at the Dallas Arboretum has simply been fantastic! Tulips and cherry trees were spectacular early on, and now the dogwood and azaleas are heading up the show. Brides and Quinceañera girls seem to always be on hand to lend an added spice to the scene. A couple of days later Spring arrived for sure and we headed to the Arboretum. Guess who we ran into! 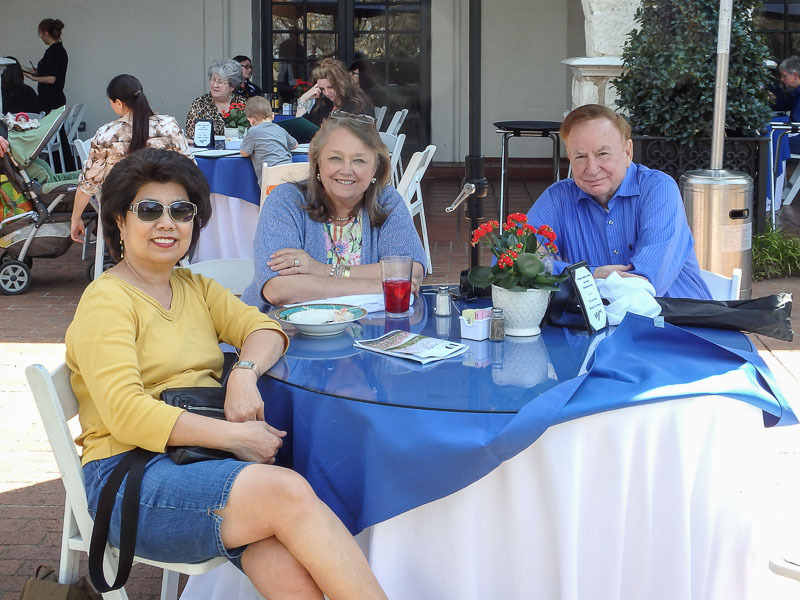 Here's Angie with Jim and Connie Wallner who had just finished lunch at the DeGolyer restaurant. It's a tough life, but someone has to do it, and it might as well be us! 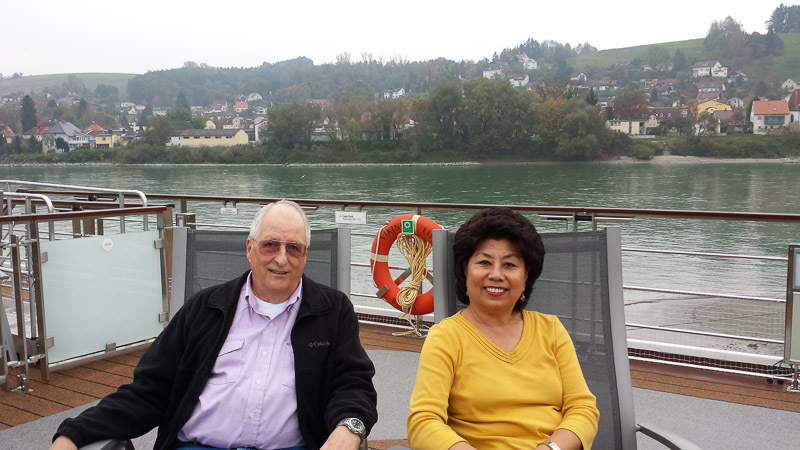 While my Collins-Rockwell-Alcatel friends were getting ready to go to our monthly luncheon, Angie and I were relaxing on the top deck of the Viking Lif at the junction of the Inn and Danube rivers in Passau, Germany. All of the pictures from the 2014 trip are posted here on Flickr. 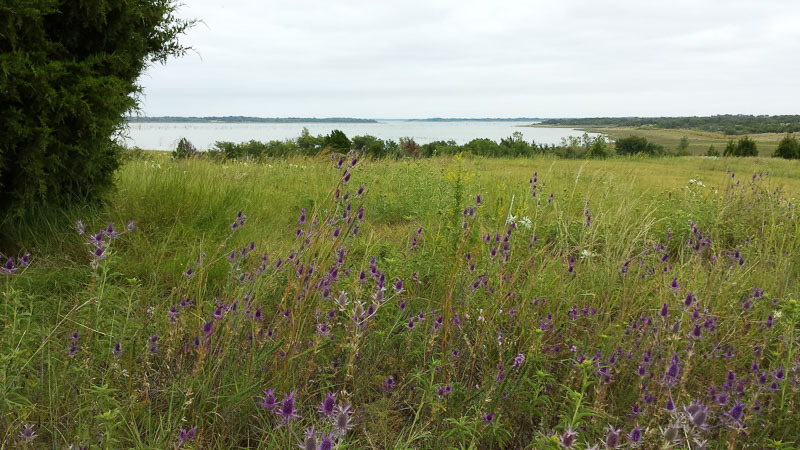 View of of a very low Lake Lavon from near Brockdale Park Equestrian Trailhead. The purple of the thistle and the white "Snow on the Prairie" made the hills beautiful on the first really cool day of Fall! Since we don't own a horse, we were riding Shank's Mare on the Trinity Equestrian trail. This trail is maintained by the Trinity Trail Preservation Association, https://www.trinitytrailriders.org. It's open to both horses and hikers (no bikes) at no charge. The chiggers are free too! As you probably already know, Angie and I took another cruise back in April-May of 2014, this time to the UK. I've finally managed to get all the pictures posted, and you can see them all here, separated into the various places we visited. 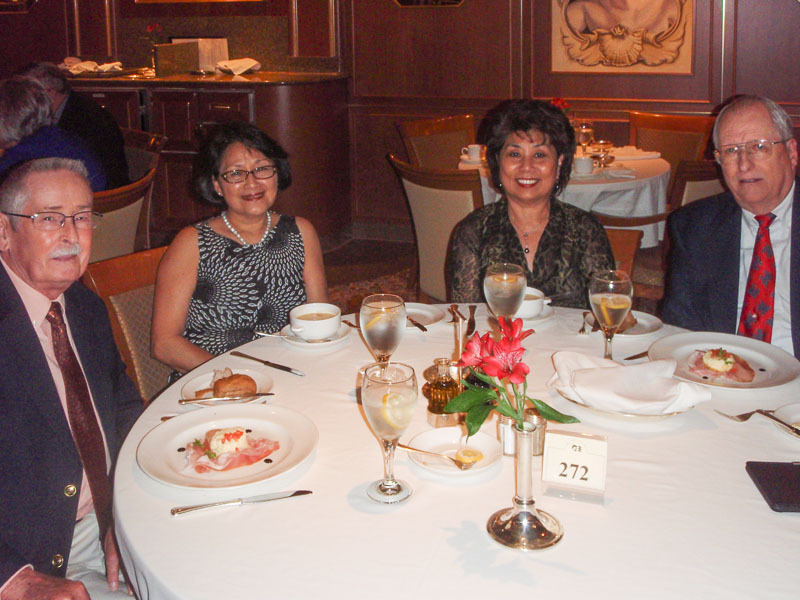 Here we're having dinner on the Ruby Princess with old friends Marion and ShueFong Dilley. Samuel is now an Engineer! 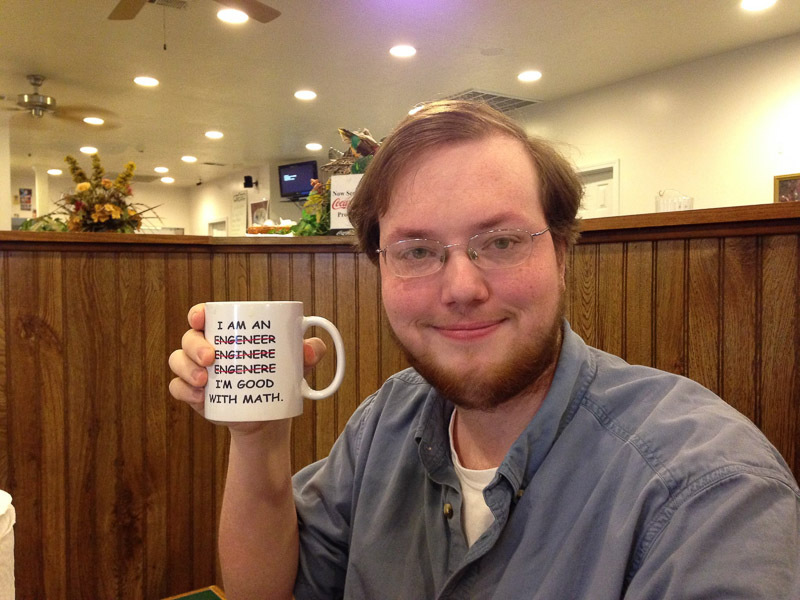 Congratulations to cousin Samuel Reed on both graduating in June and on passing his FE. Expect to see great things from him. Goodness gracious, Mike Lewis even showed up at the Rockwell-Collins Retirees meeting! It's been a long time since I last saw Mike. I caught him along with Jim and Connie Wallner and Everett Turvey for a picture.